PRINCE ALBERT, Saskatchewan — Idaho’s Brady Oleson left the Art Hauser Centre and the Clunie-Cooper Memorial PBR in first place on after Saturday night. Oleson, the 2015 PBR Canada Finals Champion, tamed Vold/Prescott’s Sheep Creek for a grand 89 point score in the final round. Before that, the $20,000 Monster Energy Champion’s Challenge Champion from 2016 put up a big 87 point effort on Crooked Nose, also from the VRP brand in round one. With Prince Albert being a two-day competition, the best scores on two bulls overall take the biggest check home. At 176 points, on two bulls, Brady Oleson is the 2017 champion earning 60 points towards the PBR World Standings and over $6,000 in prize money. Second place went to fellow American Zac Peterson of Velva, ND. Peterson put together scores of 83 in round one and 87.5 in round two, the finals. That 87.5 was on the majestic Minion Stuart of Skori Bucking Bulls, the top score on night two. For his work, Peterson earns nearly $4,000 Canadian and 30 world points. Saskatchewan man Jared Parsonage claimed third place Prince Albert thanks to scores of 80.5 on Mouse from the R-Saga Ranch in round one and 87 on Heaven’s Basement from Vold/Prescott in round two. 167.5 on two was a half point better than fourth place Garrett Green. Parsonage earned $2,295 and 20 world points. Meeting Creek, AB is where Garrett Green hails from. With a total of 167 points on two bulls, Green finished fourth to earn 15 world points and $1,317.50. Green put up 83 points in round one on Skori’s Sharky and added to that with an 84 on Vold/Prescott’s Cross Check in the final round. Riley Blankenship was the final man to qualify on two bulls to finish fifth while Zane Lambert’s 87 point trip on Plenty Cool from the Flying High Rodeo Co. landed him sixth on the weekend. Flying High Rodeo Co.’s 319 Plenty Cool earned top honors in the ABBI Canada Classic Competition for over $4,000 in earnings thanks to an 85 point effort matched up with Zane Lambert on Saturday night. Ty Pozzobon was awarded the Max Clunie Ring of Honor in the sixth year of the prestigious title. Tanner Byrne accepted the award in honor of Ty. Official results from the Clunie-Cooper Memorial PBR at the Art Hauser Centre in Prince Albert, SK on May 5th and 6th, 2017. Round one: 1. (tie) Brady Oleson on Vold/Prescott’s 020 Crooked Nose and Zane Lambert on Flying High Rodeo Co.’s 319 Plenty Cool, 87 points, $892.50 each; 3. (tie) Cody Coverchuk and Lonnie West, 85.5 points, $382.50; 5. Thor Hoefer, 85; 6. Dayton Johnston, 84; 7. Cody Casper, 83.5; 8. (tie) Zac Peterson and Garrett Green, 83; 10. Riley Blankenship, 82; 11. Brock Radford, 81.5; 12. Jared Parsonage, 80.5; 13. Casey Berg, 77.5; 14. Wacey Finkbeiner, 65. Finals: 1. Brady Oleson on Vold/Prescott’s 035 Sheep Creek, 89 points; 2. Zac Peterson, 87.5, $765.00; 3. Jared Parsonage, 87, $510.00; 4. (tie) Brock Radford and Garrett Green, 84, $127.50; 6. Justin Lloyd, 82.5; 7. Riley Blankenship, 71.5. Aggregate: 1. Brady Oleson – Blackfoot, Idaho – 176 points on two bulls, $6,077.50, 60 points; 2. Zac Peterson – Velva, ND – 170.5, $3,740.00, 30; 3. Jared Parsonage – Maple Creek, SK – 167.5, $2,295.00; 4. Garrett Green – Meeting Creek, AB – 167, $1,317.50, 15; 5. Riley Blankenship – Kildeer, ND – 153.5, $714.00, 10; 6. Zane Lambert – Ponoka, AB – 87 points on one bull, $1,368.50, 5; 7. (tie) Cody Coverchuk – Meadow Lake, SK and Lonnie West – Cadogan, AB – 85.5, $680.00 each. ABBI Canada Classic Results from the Clunie-Cooper Memorial PBR in Prince Albert, SK on May 5th and 6th, 2017. Round one: 1. Flying High Rodeo Co.’s 319 Plenty Cool, 85 points, $4,050; 2. Nansen Vold Rodeo Co.’s 410 Playing Chicken, 84.75, $2,930; 3. Wild Hoggs/Chmelnyk’s 342 Ulterra’s Teal Steel, 84, $1,800; 4. (tie) Flying High Rodeo Co.’s 425 Shootin’ Crow and 420 Redneck Cocktail, 83.75, $1,240 each. 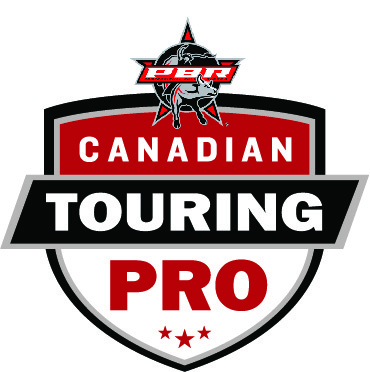 The Clunie-Cooper Memorial PBR in Prince Albert, SK was stop number four on the 2017 PBR Canada Touring Pro Division schedule. Next up is stop number five on Friday May 12th for the Nipawin, SK RONA PBR.